Just a few months ago speed limits on the Nordschleife were lifted, and now the Koenigsegg One:1 has been spotted lapping the Green Hell. Are we about to see a record broken? 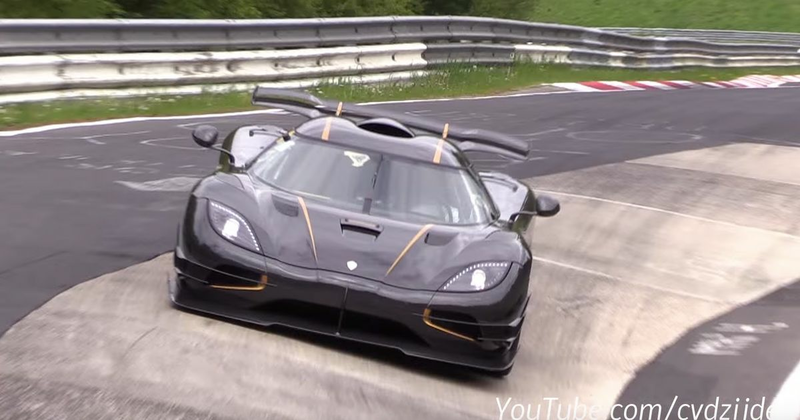 Last year, it was looking like Koenigsegg was about to set a blistering time at the Nurburgring with the One:1. Christian von Koenigsegg had even talked confidently about shaving ‘double digits’ off the time set by the Porsche 918 Spyder - a machine that’s still the fastest street legal car to lap the Nordschleife, barring a couple of laps set by Radicals which many ignore since they’re pretty much racing cars. Unfortunately, the effort had to be canned due to the circuit’s management bringing in speed restrictions on certain parts of the track. However, those restrictions were lifted earlier this year, and since the 1322bhp One:1 has been spied blasting around the Nurburgring this week, it looks like the record attempt is back on.